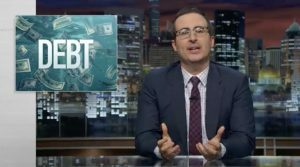 Better will donate all future revenues to RIP Medical Debt until they accumulate enough money to go HBO star John Oliver one better in medical debt forgiveness. SAN FRANCISCO, June 28, 2017 — Better, the healthtech startup that helps people get money back from their health insurance, announced today that it intends to beat John Oliver’s highly-public gift last summer of donating to RIP Medical Debt almost $15 million in unpaid medical debt for about 9,000 families in Texas. CBS Affiliate KPIX-TV5 in San Francisco features RIP in story on the Better campaign forgiving $1 million in medical debt for Californians. RIP Medical Debt is a not-for-profit 501(c)(3) charity, based in Rye, New York, established in 2014 to abolish unpaid and unpayable medical debt. Funded by donations from individuals and organizations, RIP locates and buys portfolios of medical debt (for pennies on the dollar) and then forgives the debt, no strings attached, as a random act of kindness.